Stripped screws can make simple jobs a lot more challenging. Try one of these simple solutions to this commonly occurring, uncommonly annoying problem. 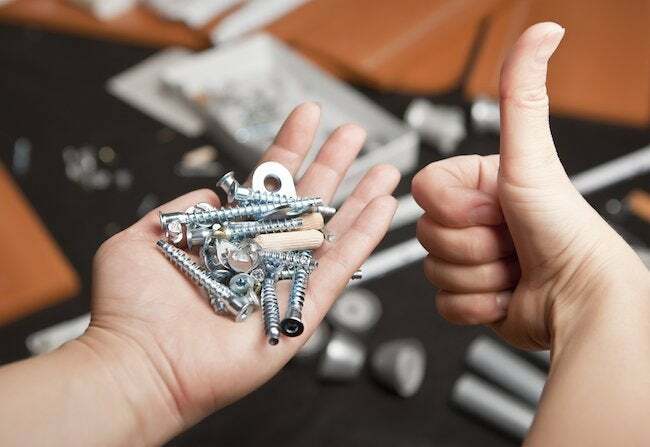 Inserting or removing a screw is one of the simplest jobs there is. But a stripped screw head can turn a simple job into a real head-scratcher. Here’s what you need to know to remove a screw when the slots are worn away. If there’s even a little left of the slots, you may be able to get a grip by slipping a portion of a rubberband between the screw head and your screw driver. Sometimes that’s all it takes to provide the grip you need to turn the screw. If that doesn’t work, try positioning your screwdriver in the center of the screw head and tapping it in lightly with a hammer. That may create enough of a depression in the head to let you get the screw moving. Alternatively, drill a tiny hole in the center of the head, just deep enough to let you set in the tip of a Phillips screwdriver. Still not budging? If you have a small rotary tool, such as a Dremel, you may be able to carve a new slot that goes deep enough to allow for a good grip. Remember, a screw usually gets stripped when its soft metal head is worn away by the screwdriver, so be careful when driving in a screw, especially with a power driver. Don’t let the screwdriver spin out of the slots.